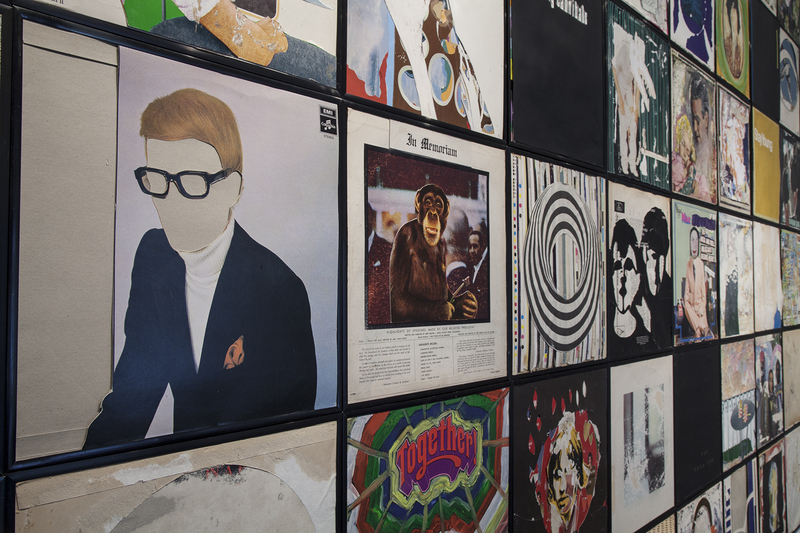 ‘My current work appropriates used vinyl record sleeves to create new visual and contextual possibilities derived form their original design intent . 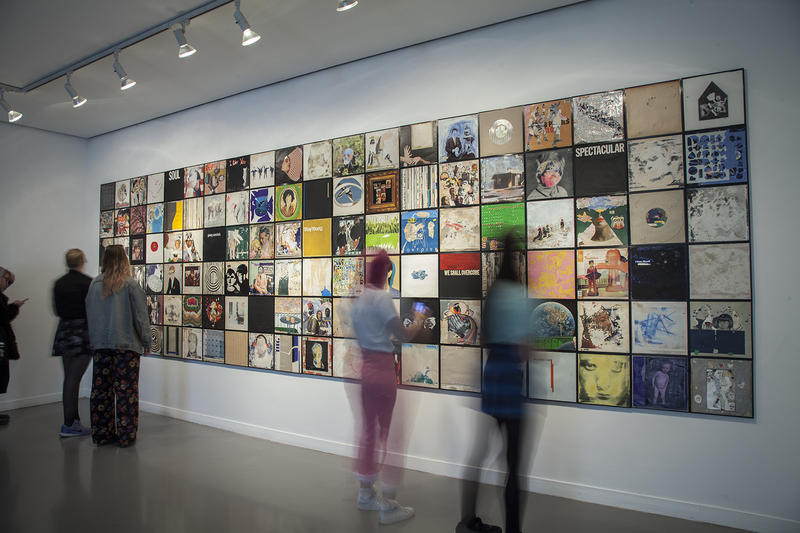 This exhibition ‘I’ll be your mirror’ is a response to our cut and paste culture.We are bombarded daily with a constant mish mash of information and visual stimuli which we must wade through, decipher and process into a whole that reflects our world view. With visual juxtapositions and chance connections my work opens out disjointed narratives, where snippets of the recognisable are aside un-coded texts, signs and symbols. Collage in many ways seems an appropriate means to express our contemporary experience – it is the recycling and reprocessing our collective past, present and future. 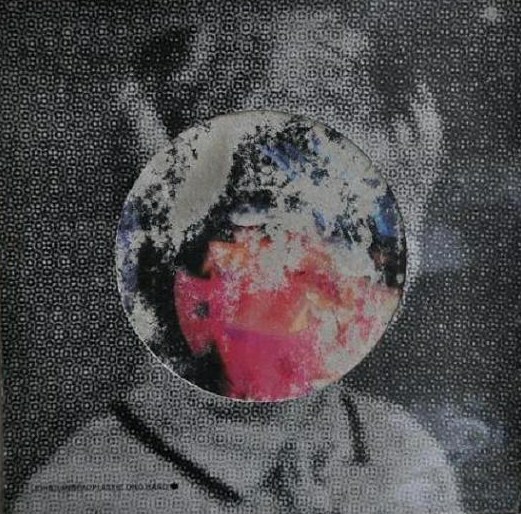 Brian Hegarty was born in Dublin in 1970 and now lives and works in Drogheda, Co. Louth. He graduated from D.I.T in 1994 and has since had solo shows in Cultural Centre Vanha Paukku. Lapua, Finland, Catherine Hammond Gallery, the Joinery, the Droichead Arts Centre and the Erin Devine Galley, Kentucky. 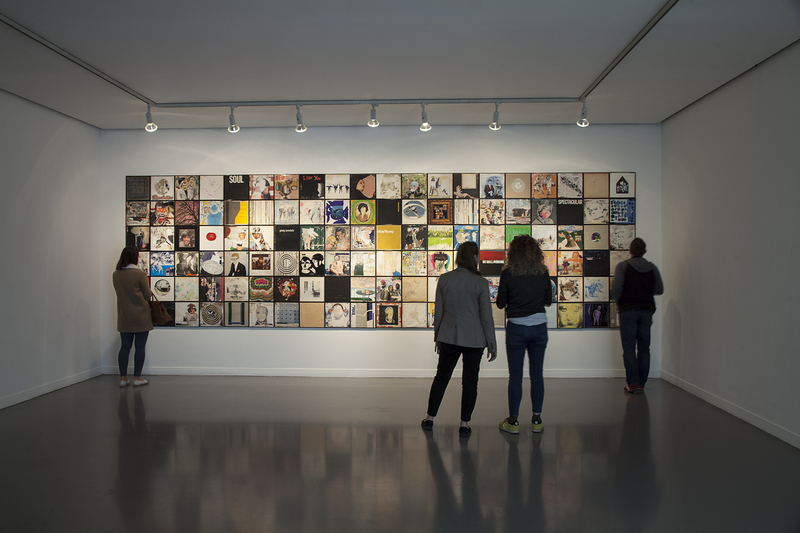 Group shows include ‘Reframing the Domestic in Irish Art’ – Highlanes Gallery, numerous RHA Annual Exhibitions, ‘Salon 10’ at the MRA gallery, London and Éigse amongst others.